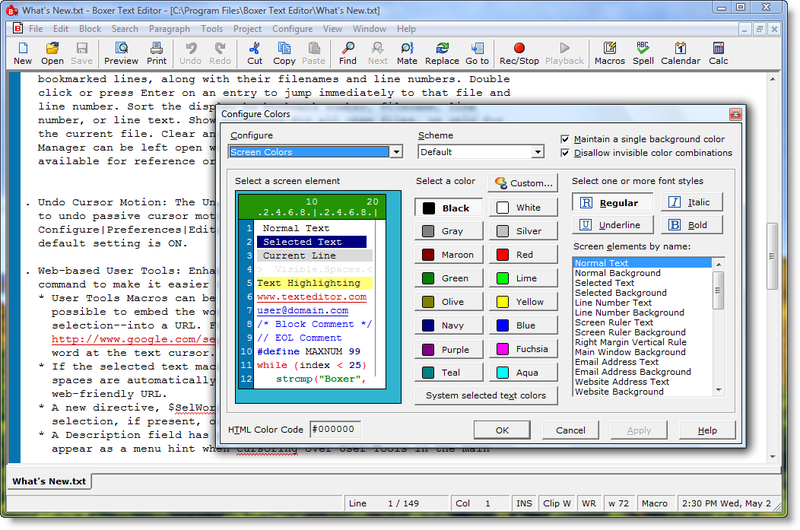 • Boxer Text Editor Text Monkey The Permutator F.A.S.T. When you use the right tool for a job, the job goes faster and you get more work done. Technicians and mechanics know this instinctively. 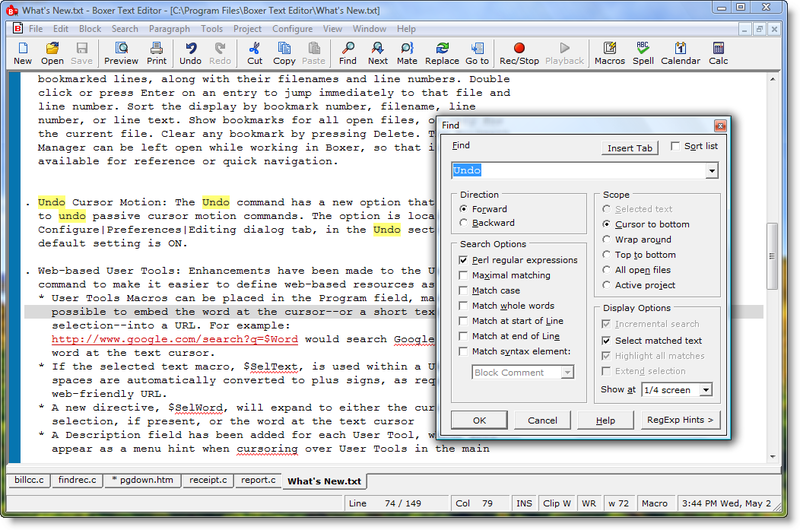 It's no different in the field of text editing: when you use a professional text editor your work goes faster and more smoothly. We've been selling text editors since 1991. We're experienced at what we do, and we listen to our customers. 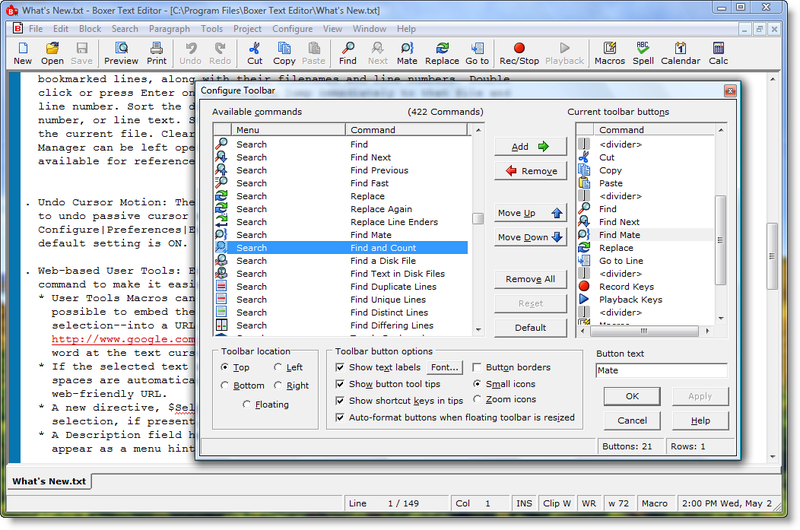 We've filled our Boxer Text Editor with the features and functions you need to make your editing tasks go as quickly and smoothly as possible. 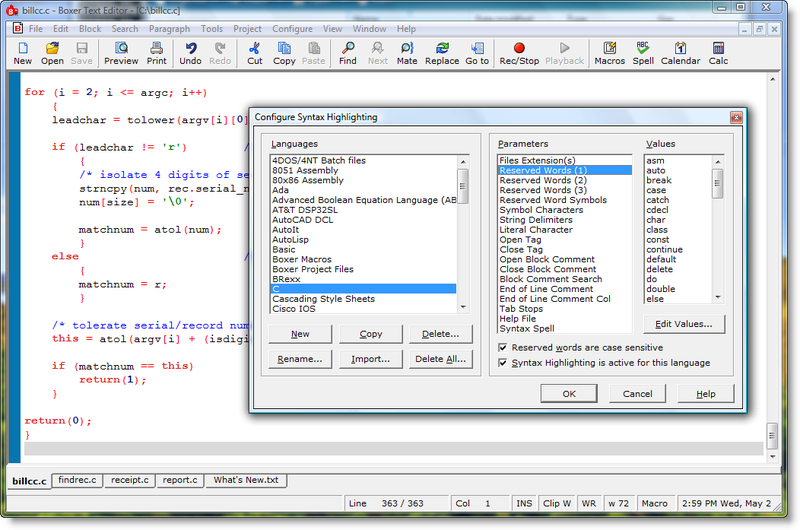 Download our fully functional evaluation copy today! 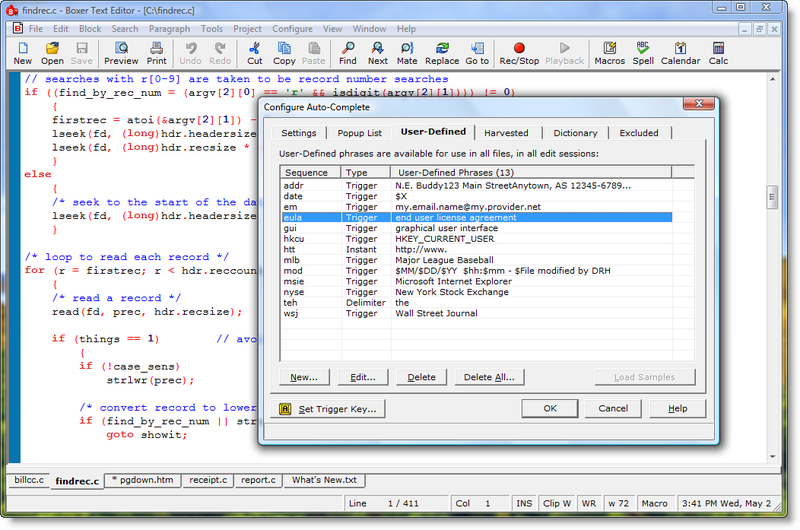 Despite its power, Boxer remains easy to use due to an emphasis on courteous, intuitive software design. All throughout Boxer you'll find examples of thoughtful programming: positions are remembered, operations are anticipated, previous replies are recalled, the mouse follows a moving dialog, etc, etc. Collectively, these many small courtesies give Boxer an elegance found in few other programs. 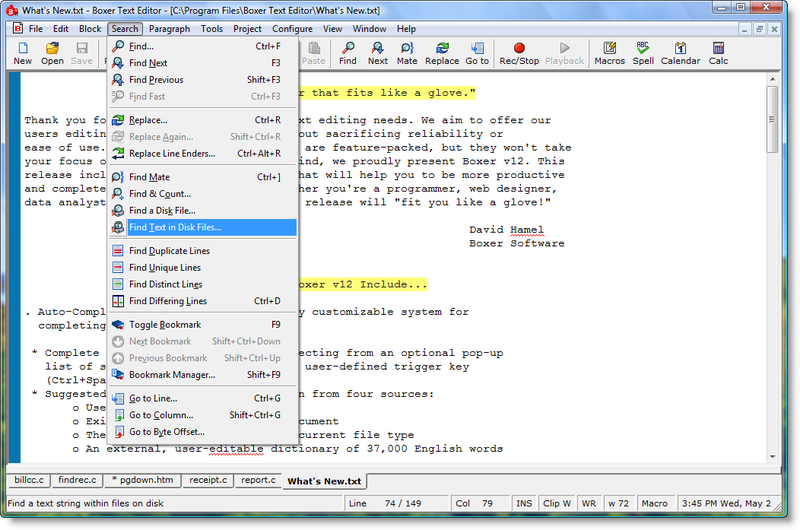 Many of our users have told us they prefer Boxer to other editors priced at $199 or more. Boxer delivers great value for just $59.99. 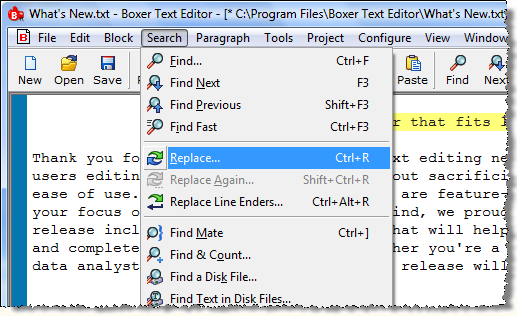 "The Boxer online help system is a model for other software makers to copy." features and functions it contains clearly reflects years of thoughtful development." Boxer's help system is second-to-none. 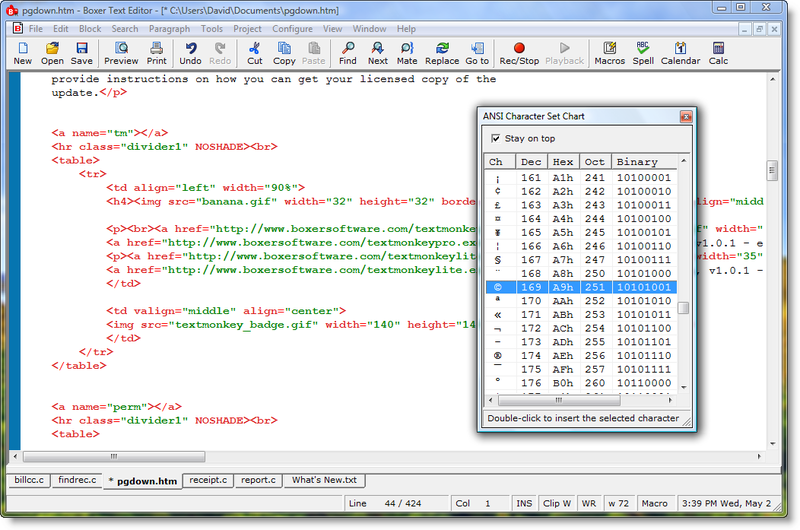 Fully indexed and highly readable, Boxer's help file has been praised by many of our users as the best they've ever seen. Take a moment to browse Boxer's help system online. 10. 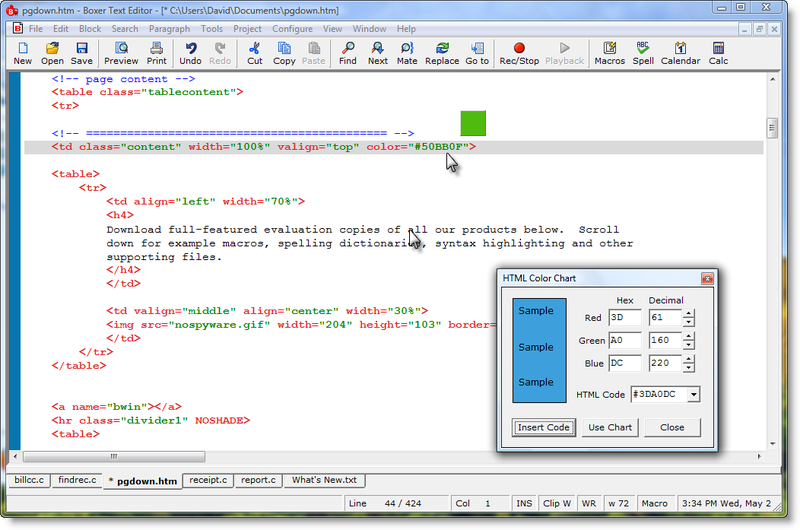 Color syntax highlighting for HTML, Java, Perl, VBScript, etc.